Hungarian lawyer Soros (father of financier George Soros) describes the endurance of the Jews in wartime Budapest in his memoir (which was first published—in Esperanto—in 1965). If you want to know what makes George Soros (and his brother Paul) tick, the clues are to be found in the story told here by their father, a thoughtful man of the world who eluded annihilation by adapting the techniques of animal mimicry. He split the family into separate residences and, with the use of false papers certifying their Christianity, enabled them to become invisible by taking on the coloration of their surroundings. A thoroughly secular Jew, Soros acted independently, disdaining the Jewish Council as a collaborative entity sponsored by murderers. He became, when necessary, a retailer of forged documents. 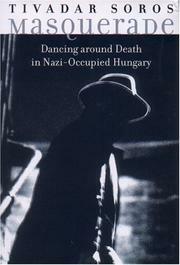 The eventual advent of the infamous Arrow Cross regime (the native Hungarian version of Nazism) brought on a particularly evil turn of events: Soros witnessed the slaughter of multitudes of fellow Jews—men, women, and children—by various methods (including drownings in the not-quite-beautiful, not-quite-blue Danube), but he also saw occasional spontaneous acts of true generosity, which were all the more remarkable due to their infrequency. His recollections, related simply and directly, are narrated with an occasional mordant wit. Disguised as gentile, for example, the author sometimes distributed cigarettes and other provisions to Jews hiding out of sight—and he remarks that, in these instances at least, “the Jews got to see that there were still a few decent Christians.” Many of his people, of course, could never have passed themselves off as Christians (and some, no doubt, would have looked upon the very attempt as a betrayal), but Soros saw that there was only one way in which he could thwart the Nazis—by surviving.